In 2013, on the occasion of the 50th anniversary of the Bread and Puppet Theater, we took stock of what had been accomplished, and how expansive a community it had become. We recognized that this network of support, committed to an art form that is homemade and which addresses the concerns of the world and celebrates its beauty, is what has defined the Theater and made its work possible. Since 2013, we have had ongoing discussions about what lies ahead for Bread and Puppet in the near and not-so-near future. At the same time, the urgency to counter this era of ever-more-extreme right wing rule has made our special kind of political puppetry more needed than ever. Since the 2016 election, audiences have been showing up to B & P shows in droves and sales of our “RESIST” banners have been flying off the press! 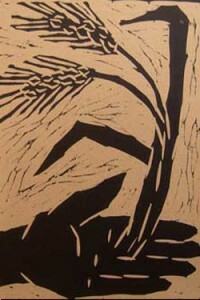 One of the most enduring legacies of Bread and Puppet is its economic autonomy, receiving no direct government, corporate or foundation funding, but instead relying on its own practice of frugality and a huge amount of volunteerism, together with income from performance fees, Press sales and donations. This model is itself an art form, a lived philosophy of independent art and activism. The Sustainability Fund was created by our board for the preservation of the theater’s infrastructure, the health and welfare of long-term members, and the sustainability of the theater’s work and vision. Even as we recognize that nothing lasts forever, we are also focused on preserving the physical components–the buildings and land and artwork–and protecting the legacy of Peter Schumann’s artistic vision. In response to the challenge of creating a structure and conditions for sustaining Bread and Puppet into a future beyond Peter’s direct unifying vision and leadership, the Board of Directors came to the conclusion that additional financial means are needed. That was the catalyst for the creation of this fund, to be built over time through individual donations, and used as necessary to support the capacity for Bread and Puppet’s continuation. 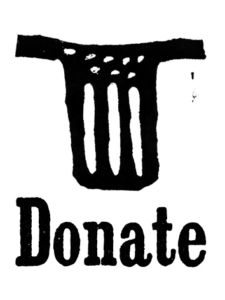 Bread and Puppet Theater is a 501(c)(3) non-profit corporation and donations are fully tax-deductible. ..